The always colorful and very unique player Bethanie Mattek-Sands has been accepted by the gods of Google to test the new Google Glass technology for tennis. Watch this very intriguing video on how Mattek-Sands uses Google Glass to organize her life, train in tennis and keeps her on time. “I’m really stoked I get to work with Google and test out something that is brand new on the market,” Mattek-Sands said. 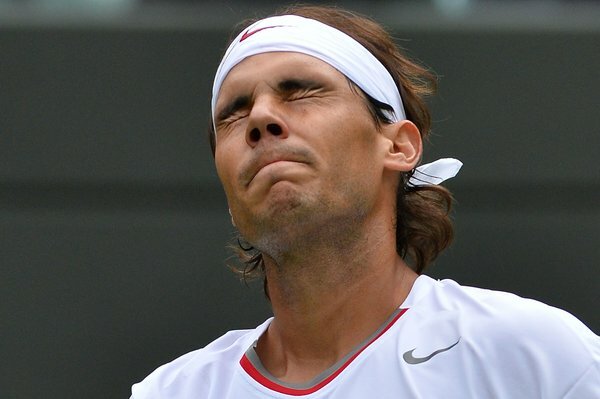 “All of the players at Wimbledon have been asking about (the glasses). You get viewpoints that have never been accessed before,” Mattek-Sands said. Mattek-Sands has been working alongside her coach to take a closer look inside what the eye sees. The video really does show the player’s perspective. “I think it’s a bad idea to base your game after someone,” he said. “I had a little bit [of] that situation with Sampras. Everybody compared me to him. If you look and analyse the game, the character, we’re actually incredibly different. 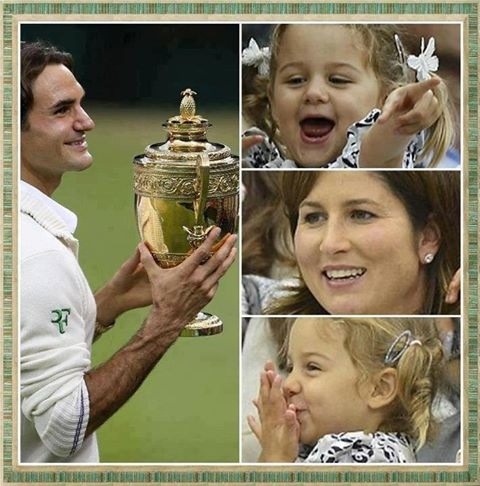 If Federer defends his title he will become the most decorated men’s singles player in Wimbledon history. Does that any extra pressure? And so he should. After all there is only one Roger Federer. From the very first days that athletic disciplines began, dating back to the ancient Egyptians, participants and practitioners of each sport debated on which of their chosen competitive activities required the greatest skill. This argument can still be heard across the globe. From bar room banter to the infinite news cycle of sports television, radio and print. The debate spans across the globe, infiltrating cultures and generations of sports fanatic families. Sports fans cheer for their favorite teams or players and are relentless in their pursuit to claim stake that in fact their player, their team, their favorite sport is the most difficult to master or that the skill set needed to produce excellence on the competitive battlefield takes near superhuman traits. This debate will rage on until the end of time. 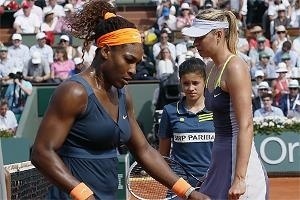 As you watch and hopefully enjoy The French Open this year as well as the remainder of the 2013 tennis season, please consider the uniqueness that is a professional tennis player. Observe their technique. Watch how their feet seem to be in perpetual motion. Witness how, they still seam to have their athletic wits about them no matter what the circumstances. Anyone that has ever seen tennis being played has surely found the inspiration to try it themselves. Many amateurs finding out the hard and humbling truth that this sport is so much more than hitting a fuzzy yellow ball back in forth. Tennis is an incredible sport for players of all ages. The life lessons taught throughout the learning and growing process leaves an indelible mark on everyone involved. At no time before in our sport have we had such a variety of phenomenal athletes at our disposal. Each player possessing his own personalized style and attitude. This is a new golden age of tennis and I’d hate for us to lose sight of just how incredible these players are. It’s easy to get lost in results, injury reports and rivalries. But let’s appreciate these titans of tennis for their mental strength as well, for their chosen profession is one in which the mental battle is just as demanding as the physical. Having worked in the tennis industry for more than 3 decades I’m confident that our sport can proudly stand up and declare that at its highest professional level, is the most skillful, intense, and exhausting (mentally and physically). Many factors go into making a great tennis player, and the path is not easy. In tennis, you are all alone on the court. No one shares in the glory or the blame. There is no teammate to pass off to if you are playing poorly and you can not be taken out of the game for a period of time so you can recuperate from poor play. Tennis is one of the only sports where players are not allowed to receive any coaching. Except for a handful of exceptions like HS tennis, Zonal teams or Davis Cup, nearly all tournaments do not allow for coaching. The no coaching restriction is unusual in sport and clearly forces young competitors to deal with the pressures and problems of play on their own. Many successful professional players have reported that the stresses of junior tennis were the greatest of their entire career. For example, Chris Evert has reported that she felt more pressure during her junior career than she did at any other time as a player. The junior player must deal with the same frustrations during tournament play as the adult, but with fewer resources and life experiences to handle them. 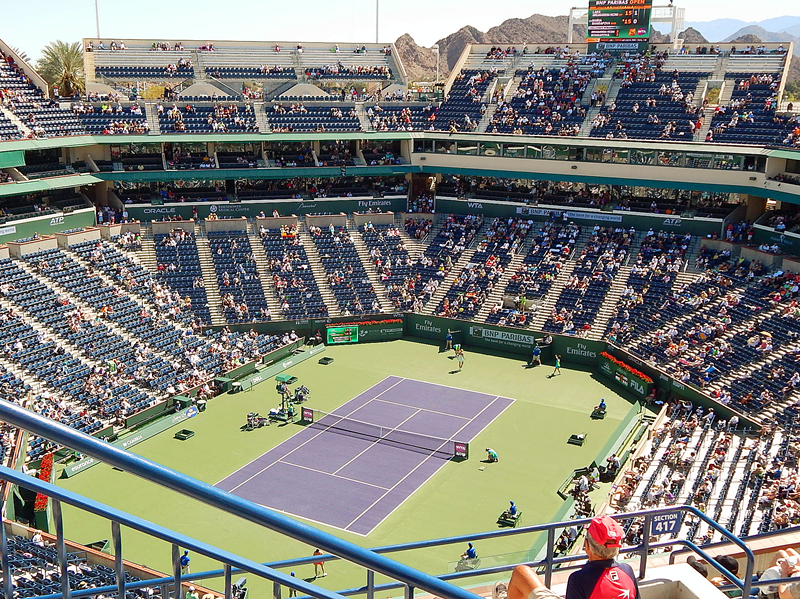 Tennis players must remain in full view of spectators, regardless of how they perform. They may desperately wish to hide from the world but the can not due to the structure and rules of the game. Embarrassment, discouragement, anger, choking, euphoria, they’re all there for everyone to see. Some players dislike this aspect of tennis while others embrace it. Either way, tennis provides little shelter for the emotions that accompany such an exciting game. Many sports allow players to regain their composure or get back on track through the use of substitutions and time-outs. This is not the case in tennis. Players must stay in the game, regardless of how bad or uncomfortable things may get. This is particularly difficult considering that matches can be two or three hours in length. Tennis is similar to boxing. You have a real one-on-one opponent that you must defeat to emerge victorious. A match can quickly become a personal confrontation between opponents, especially if one resorts to gamesmanship tactics. Such direct competition can fuel intense rivalries and threaten friendships in powerful ways among young players. Unlike most other sports, in tennis a player can take a point that is rightfully their opponent’s by deliberately calling a shot out that had fallen within the lines. The point can be the most important of the match, yet the call stands. There is nothing a player can do about it. Pressures associated with being cheated or being accused of cheating can place tremendous psychological strain on young players. Changing temperature, wind intensity, court surfaces, balls, altitude, indoor/outdoor play and equipment add to the depth of the competitive challenge in tennis. Players are forced to deal with changes such as these, many times within the same match. Player’s responses to these situations can provide an indication of their level of mental toughness. Those who are not affected by changes in conditions are often the ones who win. Few sports require players to concentrate and perform for as much as three hours at a time. In juniors tennis, It is not uncommon for 12-year old players to be required to compete in two singles matches two doubles matches on the same day. Mental toughness and physical fitness become critical if a player is to become successful. Who can forget the epic match between Novak Djokovic and Rafael Nadal at The Australian Open in 2012 that lasted nearly 6 hours. There are numerous examples of marathon matches and in which competitors exhaust themselves and the spectators in the pursuit of victory. What adds to this is the psychological pressure that as you step on court, you are completely unaware of the length of the match. Matches can be over in 1 hour or may go late into the night in a knock down drag out street fight that determines a winner after 4 or 5 hours. There is no game clock. You cannot simply stall or sit or ground the ball to protect an imminent victory. You must capture victory, no matter how long it takes. The scoring system in tennis adds to the pressure a player experiences. Unlike many other sports, there is no overall time limit. Play continues until one of the players wins two out of three sets. Consequently, there is no room for coasting on a lead or waiting for time to run out. Each player is always just a few points from a complete turn-around, and a lead is never safe. As a contrast, if a basketball team is ahead by 30 points, they will almost certainly win, because their lead is too large to overcome within the time of the competition. In tennis a player can be ahead 5-0 in the third set, and lose two games and immediately have reason to fear a loss and a huge comeback on their opponent’s part. Certainly, the debate will rage on as to which sport requires the greatest athleticism. It’s a question in which the answer will never be certain. Although, I’m willing to bet if more people view tennis for its uniqueness and quirks, the more people will begin to realize just how amazing this sport is and what it requires their athletes to contend with. It’s not easy, but someone has to do it. And I’m glad we have the players of today to show us how its done.